I never expected to actually age. Yes, I know that's weird, but after living in Los Angeles, the land of perpetual youth, for a plethora of years, I expected the clock to turn itself back for me. Alas, pesky fine lines and crow's feet eventually came out to play, and no matter how many serums and creams I threw on them, nothing seemed to work . . . until I discovered the GloPro Microneedling Regeneration Tool ($199). 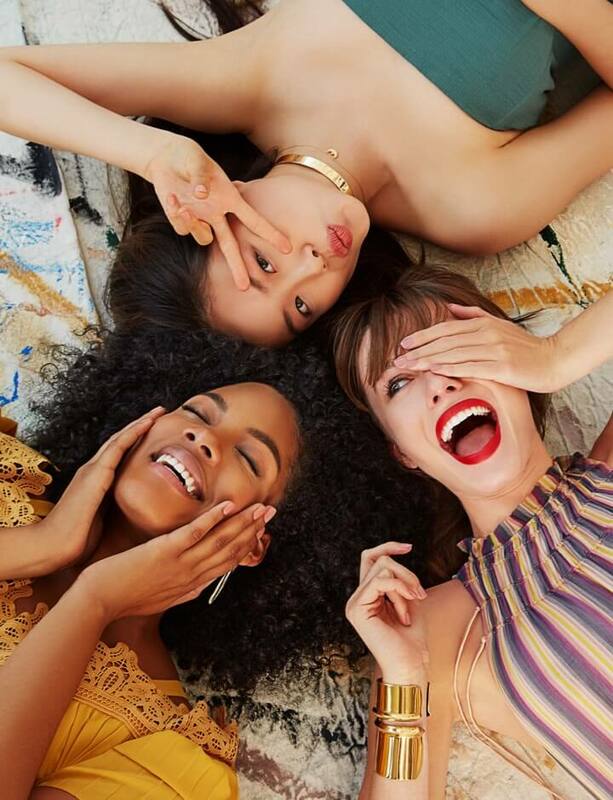 Spa or medispa-based microneedling treatments are costly at roughly $100 to $700 per session, with a recommended six sessions per treatment. Given that this at-home microneedling gadget is a steal at $199, I was down to try it. Straight away, the science behind the tool had me amped to try it. Sit tight while I nerd out and explain. GloPro's patented technology stimulates skin's natural healing response to induce micro rejuvenation by gently parting your skin and creating microchannels, rather than puncturing it. With the movement of epidermal cells, a micro-injury response is triggered, forcing new collagen production in the fibroblasts and creating immediate cell turnover. Then, the VibroTactile Stimulation function in the tool cascades energy into the deepest layers of the skin. As its MicroTips pass over your skin, the regeneration process begins immediately, with cells responding to imperceptible microchannels by restoring volume from the inside out. 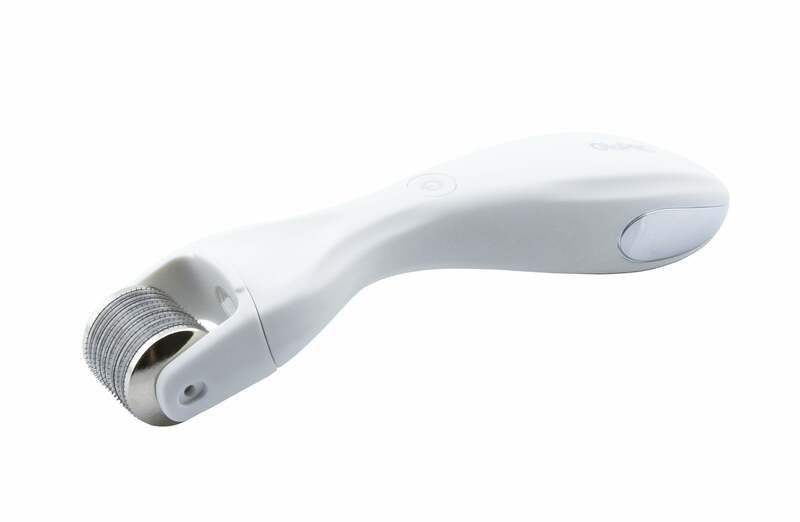 Finally, the tool's red LED light serves as an anti-inflammatory treatment to help repair redness, increase collagen density, and treat uneven skin tone. Although it sounds complicated, it's totally easy to use. After washing your face at night, use the tool on any area that needs help — including your forehead, right side, left side, chin, and nasolabial folds (aka "smile lines") — and, using gentle pressure, roll the tool over each area four to 10 times for one minute, changing direction with each pass. It might pinch a little — it is a microneedler, after all — but beauty is pain sometimes, am I right? Make sure to apply a serum within 60 seconds of using, and voilà! The healing (and antiaging) has begun. I handle pain well, so the tiny pinpricks I felt when the tool was gliding over my skin didn't bother me at all. If the sensation bothers you, stick with it — what's unusual becomes normal after frequent use. There's also some residual redness after use that subsides, so if you experience either, don't freak out. It's normal. 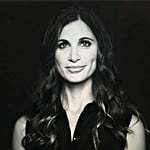 New York-based medical esthetician Jordana Mattioli agrees that the GloPro is a good idea for maintaining and rediscovering that fountain of youth. 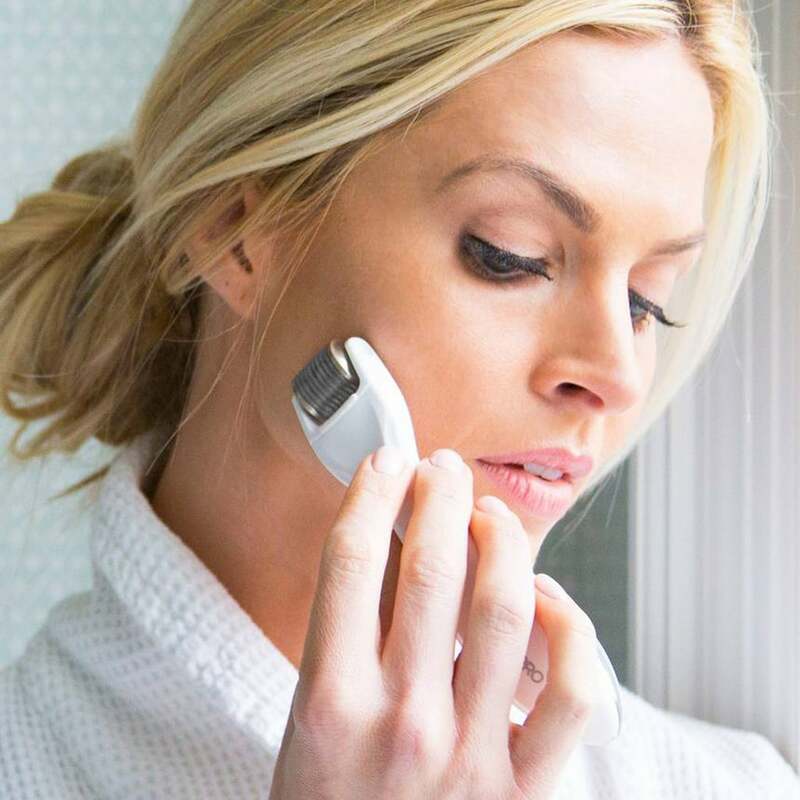 "Using an at-home microneedling device like GloPro will improve the skin's texture and tone, resulting in a more youthful appearance," she told POPSUGAR via email. After 30 days of use, I have definitely noticed younger- and "newer"-looking skin. My face feels plumper (in a good way), and my fine lines are way less noticeable. I'm a believer.